Landwheel from China just announced the 2018 Landwheel LX-3 electric skateboard motor drive with improved electronics and materials. You can buy a complete board or just the drive with remote control. Let’s see what the conversion kit has to offer. 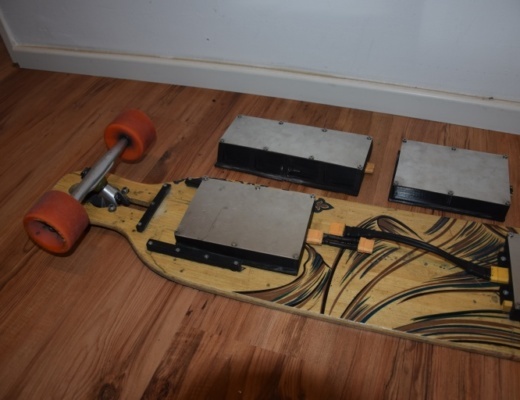 Mellowboards is the inventor of the electric skateboard motor drive, but the 2 Chinese manufacturers Onan and Landwheel are trying to offer cheaper alternatives. 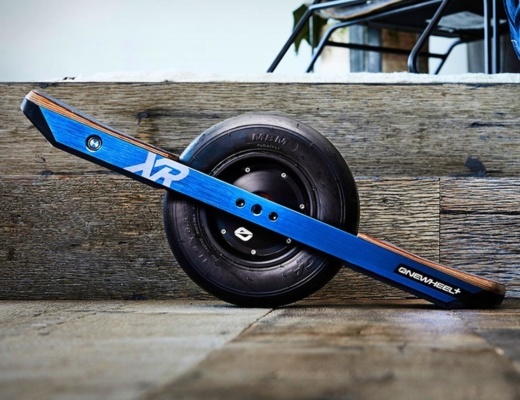 We have reviewed the MellowDrive, Onan X2 and Onan X3 earlier and you can compare them with the Landwheel drive in our electric skateboard comparison. The LX-3 is supposed to make up to 28 mph or 45 km/h and a range up to 7.5 miles or 12 km. 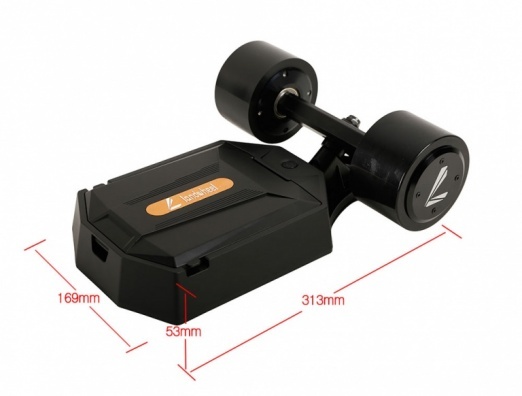 The size of the motor drive is 313 mm x 169 mm x 64 mm and has a weight of 10.3 lbs or 4.67 kg including battery. If you go for the complete board it is 950 mm x 230 mm x 128 mm and has a weight of 16.76 lbs or 7.6 kg. The swappable batteries with 3,200 mAh at 36 V power 2 in-wheel motors and are good for a grade of 15%. 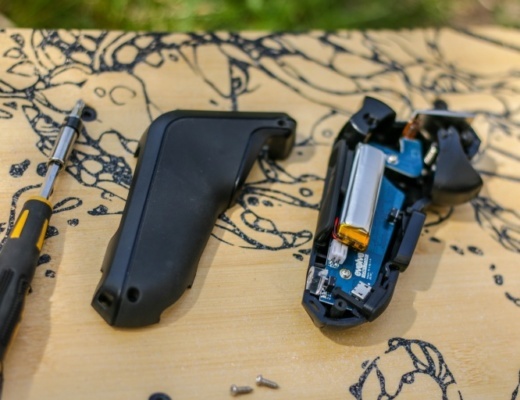 Compared to the earlier electric skateboard motor drives the 2018 model promises to be more silent, more stable, faster and stronger. The new replaceable wheels are softer and have a diameter of 92 mm compared to 83 mm before. The new 2.4 GHz remote control offers a distance of 131 feet or 40 meters. Not sure why you would need this? 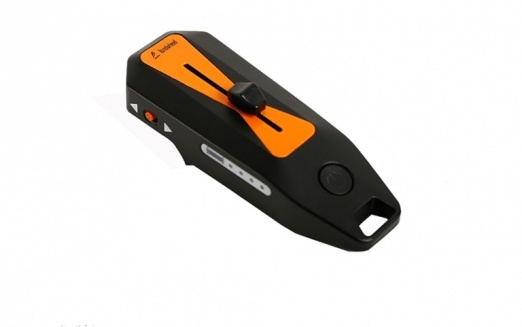 It offers different alarms for low battery, signal loss, temperature etc. with vibrations and LED flashes. The drive is selling for 799 USD. The complete board with bamboo deck is on sale for 849 USD. We will try to get one in-house to make a full review soon. This would include the unboxing video and of course a few videos about riding the drive on different decks.